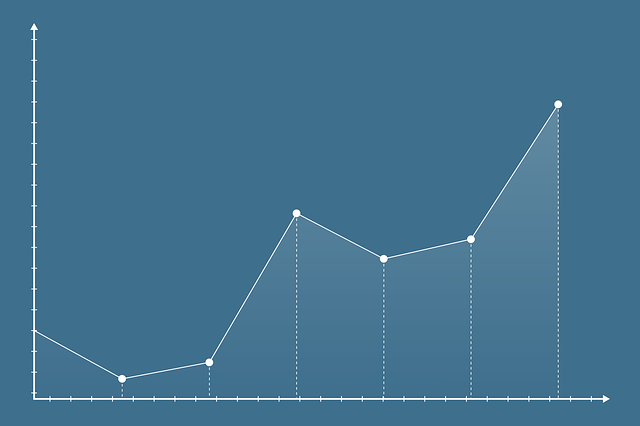 A run chart displays process performance over time. It shows a line graph of data points plotted in chronological orderthat is, the time sequence of process data. These data points represent measurements, counts, or percentages of process output. They show process stability or trends. These charts form the basis of statistical control charts but they are not as powerful or useful as control charts. 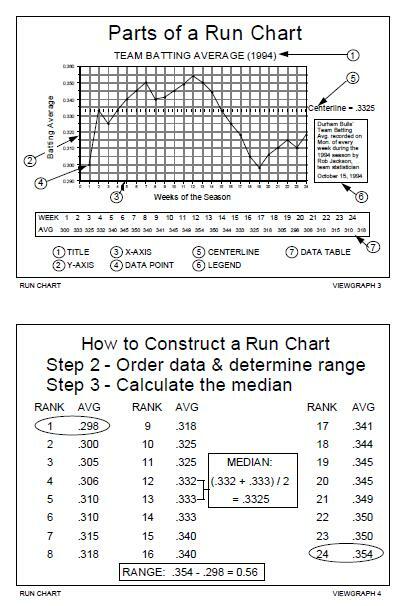 Why Use a Run Chart? Using these charts helps you visualize your process. Unlike other tools, such as Pareto Charts or Histograms, these charts display data in the sequence in which they occur. This enables you to visualize your process performance which helps you detect signals of possible issues. You can analyze data for patterns that are not easily seen in tables or spreadsheets. These charts let you communicate with others the process performance during a specific time period. Median: The middle value of the data presented. You use this as the centerline. Range: The difference between the largest and smallest values in the data. You use this to construct the Y-axis of your chart. 1. Title: The title briefly describes the information displayed in the chart. 2. Vertical or Y-Axis: The name of the measurement. Create a scale which shows you the magnitude of the measurements. 3. Horizontal or X-Axis: This axis shows you the time history of the data. 4. Data Points: Each point represents an individual measurement. 5. Centerline: The line drawn at the median value on the Y-axis is called the Centerline. 7. Data Table: Sequential listing of the data being charted.